During their 20th anniversary presentation this week, Gust made an announcement that should please anime fans and Atelier Escha & Logy fans both: their PlayStation 3 title Atelier Escha & Logy: Alchemists of the Dusk Sky is being adapted into an anime series by Studio Gokumi. This will be the first time a game from the Atelier franchise will be adapted into a television anime series, and the final product will be airing sometime in 2014. 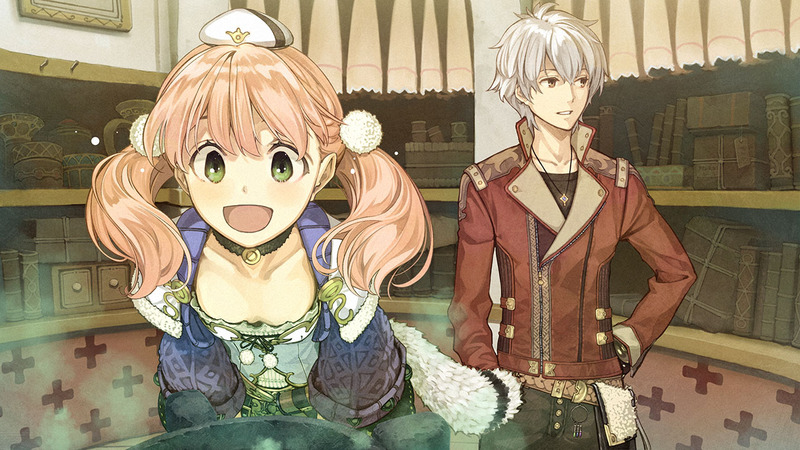 If the show is ready early in the year, its release may even overlap with the March 11, 2014 release of the Atelier Escha & Logy: Alchemists of the Dusk Sky game in North America, or its European release early next year. The PS3 title came out in Japan this past summer. Are you excited about this news, or does the idea of an Atelier anime series not interest you? What other Gust games would you like to see animated if this trend continues? Let us know in a comment!